FOND LLC is growing in the central Florida area, and is looking to add another licensed general contractor (CGC) to bid and successfully complete new commercial construction projects with us. Contractors working with Fond have the ability to cherry pick the type, geographical area and scope they prefer to bid. Invitations to bid projects are coming to us for the entire central Florida area, from the east to west coasts. In-house project management is available if your commercial construction management experience could use a bit of assistance. 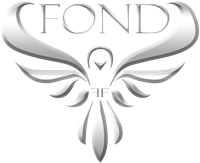 Interested parties please contact Anthony Fond by email: anthony@fondllc.com. This function has been disabled for Florida Contractor.